By leaps and bounds, by way of audio/visual goodness. 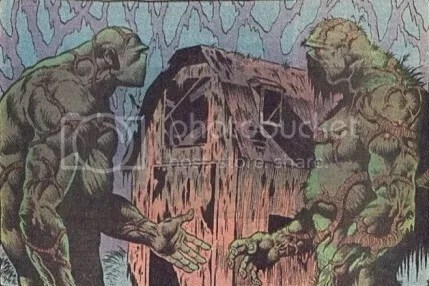 Most readers are aware that I do a lot of Swamp Thing research, but I listen to a lot of reference material as well. To show my appreciation, I thought it’d be fun to dedicate a post to those in the world of comics entertainment that I enjoy listening to. Along with their episodes, The Panel Jumper hosts informative question and answer segments. Check out there YouTube channel for more videos and their Facebook page for all the latest. I usually spend my work day listening to podcasts. It’s a fun way to pass the time and an easy way to consume interesting information from interesting people. If I don’t have time to read comic book reviews or recommendations, I try to find podcasts that inform me while working. I’ve done a pretty decent job of narrowing down my favorite podcasts to a select group that are enjoyable to listen to. I’ve generally found it difficult to find comics related podcasts that hold my interest. I’ve come across a number of shows that are slow, unfocused or filled with too many people swearing, complaining and being overly critical towards subject matter that they clearly are not taking the time to research. Not to discredit their efforts and passion but wading through any one of those attributes for an hour at work doesn’t make for an entertaining listen. I was recently introduced to a podcast that I am extremely excited to share with you. I’m usually late to the party but in this case it’s worked out pretty well because I can listen to their 47 back issues. 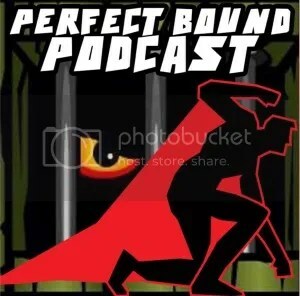 Perfect Bound Podcast, out of Seattle Washington, is my new favorite comics podcast. The crew that hosts the show come across as long time friends, providing natural conversation between the four of them. Amongst the group, they have many years of comics knowledge and experience. The show is recored at their local comic shop, Comics Dungeon. Chris (one of the hosts) is the manager of the Comics Dungeon and loves comics involving apes. Nicole works at the shop as well. She knows a ton about comics and genres that I typically haven’t been exposed to which is extremely helpful. Cole is an actor, co-creator of Panel Jumper and all around geyser of comic knowledge. Ben is the second half of the Panel Jumper and is fairly new to comics which is great for those who are just coming into comics as well. These are, of course, simple descriptions for very knowledgable and entertaining folks. Their insight and fun perspective makes for wonderful comic related recommendations. For everything comics related subscribe to their podcast through iTunes or listen through their website. I can’t recommend the show enough. It’s a lot of fun!